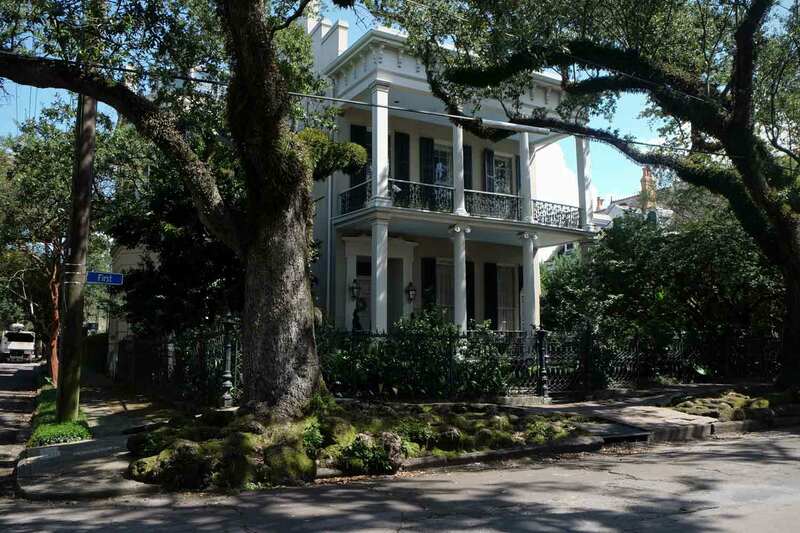 Free Garden District Tours Daily at 11 A.M. In 1803 Thomas Jefferson signed the Louisiana Purchase which opened up New Orleans to a flood Americas set on making a fortune. Culture clashes between Creoles and the Newly arrived Americans split the city in two, with Canal Street as it’s neutral ground between the differing populations. Flush with cash from their business successes the second generation of Americans, in the decades before the Civil War, built their own city, Lafayette, away from the hustle and bustle of downtown complete with its own cemetery, Lafayette Cemetery. What was once Lafayette, a planned community for the wealthy,is now the Garden District. It is a delightful neighborhood to tour. Not just for the beautiful antebellum homes and lush gardens, but for what you’ll learn about the population, including a few eccentrics and scandalous souls, both now and in the past. A great way to learn about how New Orleanians lived (and died) is by visiting our cemeteries. Lafayette Cemetery #1, one of our Cities of the Dead, is included in the tour. Made famous by novelist Ann Rice, Lafayette Cemetery #1 is a must see cemetery in New Orleans. Nola Tour Guy presents our Walking Tour of the Garden District as a Free “pay what you want” everyday but Tuesday. Nola Tour Guy presents our Walking Tour of the Garden District as a Free “pay what you want” everyday but Tuesday. Typically these tours cost around $20 a person but we are so confident that you will love our tour that you will gladly tip accordingly. Join us for an intimate journey into the past. Book Now!.